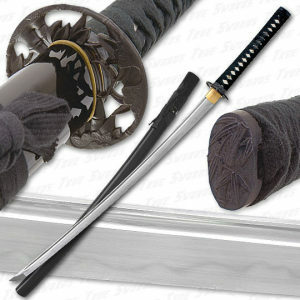 Appearing in 2008, Musashi Swords quickly came to revolutionize and dominate the sub US$100 Japanese sword market. 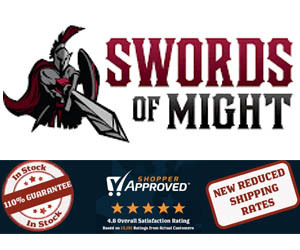 Despite the fact that they are made at several different forges, Musashi swords are generally quite consistently good quality – especially considering the extremely low price tags. 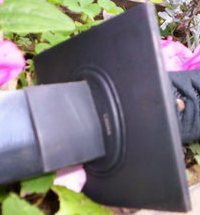 As such they produce a range of extremely affordable light duty cutters/display swords all the way up to some real no frills workhorses – all branded with a distinctive double ‘C’ Ring Tsuba image either on the blade or on the habaki (blade collar). 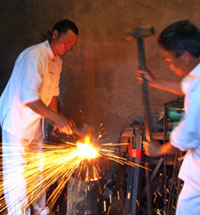 The price ranges from US$40 to $379.99 – though the vast majority are below the $100 mark. 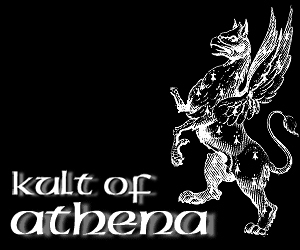 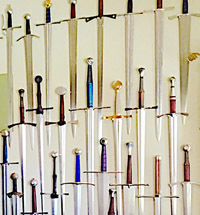 It should also be noted that as the manufacturer/re-brander only uses SKUs – the names of each individual sword may well vary from retailer to retailer – despite the fact that the product is the same. 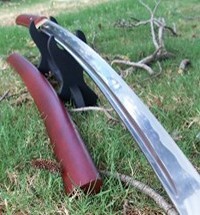 Made from 1045 carbon steel and monotempered with reasonably good quality fit and finish, Musashi’s entry level Lowest Price Katana range are hands down the cheapest “bare bones” functional Japanese styled swords currently on the market, typically priced at between $40 to $60 depending on the model. 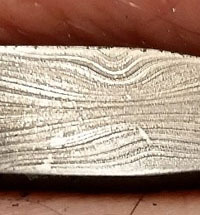 While hardly appropriate for serious collectors, it is generally accepted that at this low end price point, they are worth every dollar and more. 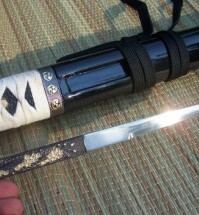 Musashi revolutionized what was possible with their Differentially Hardened (sometimes called “Bamboo Warrior”) series swords. 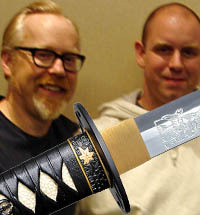 Using a propriety, time and money saving claying technique, these swords have a REAL hamon temper line at a price point where everyone else can only afford wire brushed psuedo hamon. 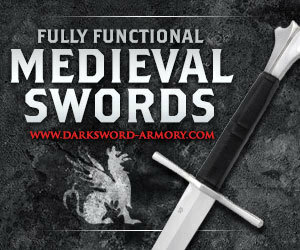 Furthermore, fittings tend to be made of IRON where other similar priced swords use cheap zinc alloy – and are generally embraced by the sword community and great value for money lightweight, entry level cutters. 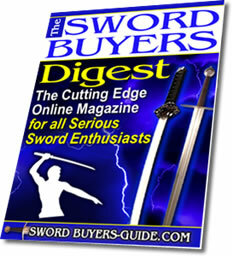 Swords at this low price point are rarely issue free, and Musashi swords are no exception – though reports from the sword community suggest they are surprisingly consistent. 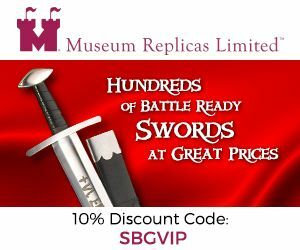 This consistency however suggests that they are NOT hand made as advertised, but machine stamped – and it would appear that the biggest issue with these swords is misleading or mistaken marketing practices. 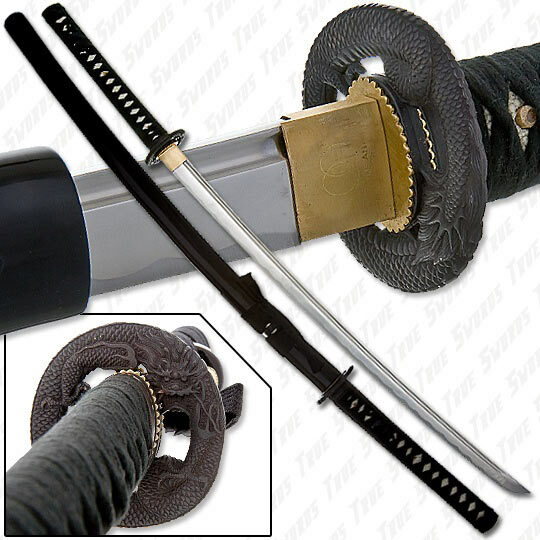 For example, the Differentially Hardened Katana swords are claimed to be made from 1060 carbon steel, however independent testing and basic wholesale pricing structures reveal that it is almost certainly 1045 carbon steel, a much softer – and hence easier to work with – steel. 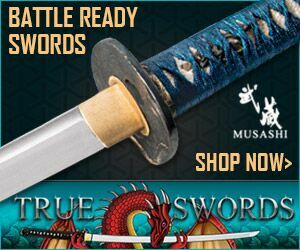 As they are low priced, they tend to sell out fast – though HERE at Trueswords.com there is almost always a good selection at exceptional prices. 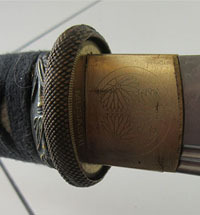 This sword seller also has a sterling reputation for customer service – the editor notes a Musashi sword purchased by a customer who discovered some serious flaws in his purchase. 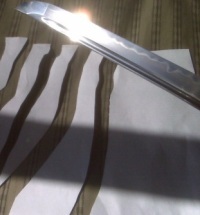 Quite a detailed look at two typical bare bones swords. 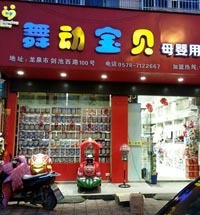 One was pretty much what you would expect for the price. 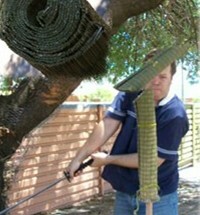 But the other one more than made up for it.